Preheat the oven to 180 degrees. Generously butter ramekins. 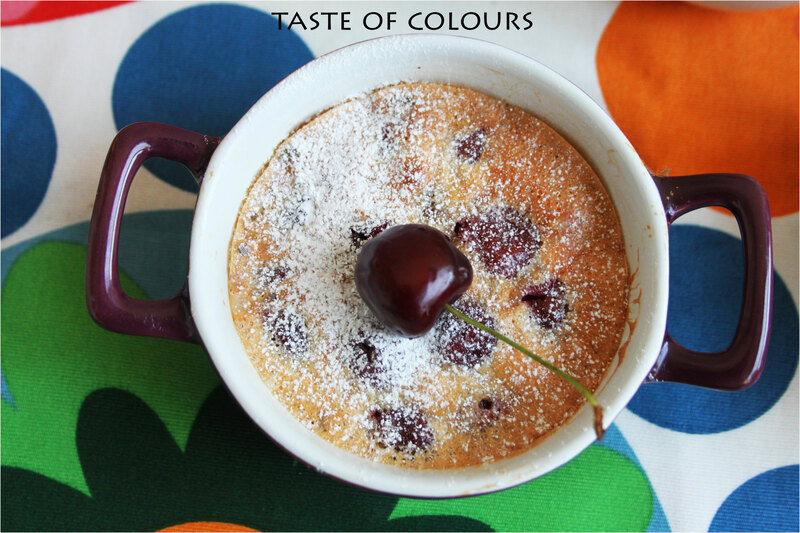 Divide the pitted cherries among the buttered dishes. Put the egg yolks, eggs and sugar into a large bowl and whisk well together. Sift in the flour and salt and whisk until the batter is smooth. Add the cream and whisk until well incorporated. 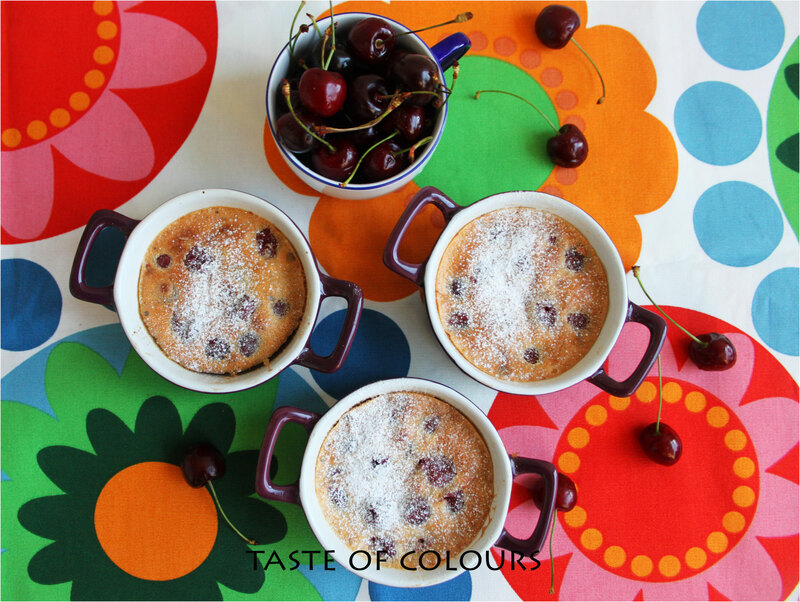 Pour the mixture over the cherries in the ramekins, they should be two-thirds full. 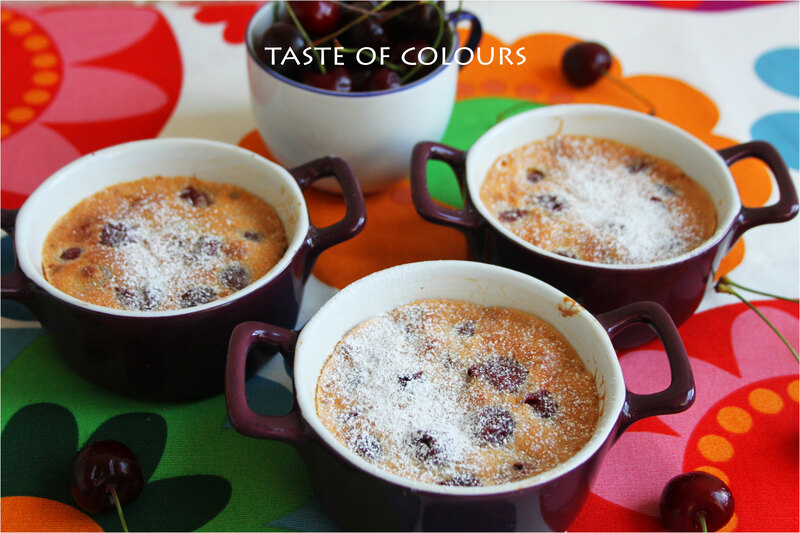 Bake for 10-15 minutes or until the top of each clafoutis is a light golden brown. 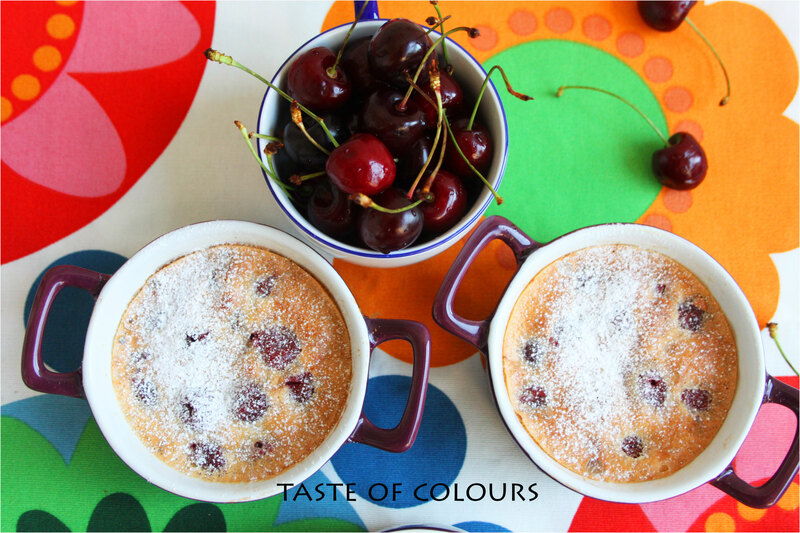 Leave to cool slightly, then dust with icing sugar and serve while still warm. Reblogged this on Good Eats and Me. Hi there, I just nominated you for the Dragon’s Loyalty Award. Hope you can stop by my blog for the details.